News: Gallinari compiled 16 points (5-20 FG, 1-5 3Pt, 5-6 FT), seven rebounds, and four assists in 36 minutes during Sunday's 113-105 loss to Golden State. Impact: Gallinari struggled mightily from the floor Sunday, finishing with 16 points on 5-of-20 shooting. That makes a combined 7-of-33 over the course of the last two games, his poor shooting coming at the worst possible time for the Clippers. Despite the recent inefficiencies, Gallinari has had a fantastic season and certainly rewarded those who took a risk on him in their respective drafts. He will look to bounce back in Game 5 of the series, however, it could be a case of too little, too late for the eighth-seeded Clippers. News: Beverley totaled 12 points (4-9 FG, 3-5 3Pt, 1-2 FT), 10 rebounds, five assists, three blocks, and one steal in 36 minutes during Sunday's 113-105 loss to the Warriors. Impact: Beverley ended with a double-double Sunday, adding three blocks in what was a much-improved effort when compared to his previous outing. That being said, it was not enough as the Clippers fell by eight points, moving to within one loss of a round-one exit. Beverley has certainly left his mark on the series and has proven himself to still have value over the back half of the season. News: Gilgeous-Alexander finished with 25 points (9-15 FG, 3-5 3Pt, 4-4 FT), two rebounds, two assists, and one steal in 31 minutes during Sunday's 113-105 loss to the Warriors. Impact: Gilgeous-Alexander began Sunday's game red-hot, scoring 14 of the first 17 Clipper points. He slowed from that point but still ended with a career-high 25 points on 9-of-15 shooting. The Clippers are now just one loss away from elimination with Game 5 to be held in Oakland on Wednesday. Whatever the outcome, Gilgeos-Alexander has had a strong rookie season, progressing much faster than anyone would have expected. News: Zubac will start Sunday's game against the Warriors on the bench, Tomer Azarly of ClutchPoints.com reports. Impact: After impressing with 18 points and 15 rebounds in the game three defeat, Zubac has been moved to the bench to start Sunday's contest to put him in a better matchup against Golden State's reserves. JaMychal Green has taken his spot in the starting five and should help the Clippers with their spacing and playmaking. News: Green has replaced Ivica Zubac in the starting lineup for Sunday's game against Golden State, Tomer Azarly of ClutchPoints.com reports. Impact: Green has averaged 12.7 points and 6.0 rebounds so far in the series off the bench, so the Clippers have moved him into the starting lineup to try and match with all of the Warriors's playmakers. Zubac will move to the bench as a result, but should still see minutes after recording 18 points and 15 rebounds in the Game 3 defeat. News: Beverley amassed just six points, one rebound, and one steal in 18 minutes during Thursday's 132-105 loss to the Warriors. Impact: Beverley has very little impact Thursday, unable to repeat his performance from Monday. Kevin Durant exploded for 38 points with Beverley struggling to contain him despite the best efforts. Given the outcome, head coach Doc Rivers may look to switch things up Sunday with JaMychal Green potentially coming into the starting lineup to put more size in front of Durant. News: Gallinari produced just nine points (2-13 FG, 0-8 3Pt, 5-5 FT), six rebounds, and three assists in 26 minutes during Thursday's 132-105 loss to Golden State. Impact: Gallinari made just 2-of-13 from the field in Thursday's blowout loss, finding himself riding the pine down the stretch as the Clippers went with their reserved to close out the game. He had been much better than this coming into the game and will need to get things going once again if the Clippers hope to level the series at 2-2 Sunday. News: Zubac finished with 18 points (8-12 FG, 2-3 FT), 15 rebounds, one steal, and one block in 17 minutes during Thursday's 132-105 loss to the Warriors. Impact: Zubac was basically the only bright spot for the Clippers on Thursday, ending the game with 18 points and 15 rebounds in just 17 minutes. The Clippers were unable to repeat their comeback victory from Game 2, falling behind early and never recovering. Zubac would typically not be this good but the blowout afforded him some additional playing time. News: Shamet amassed 12 points (4-9 FG, 4-9 3Pt), four rebounds, three assists, and two steals in 32 minutes during Monday's 135-131 victory over Golden State. Impact: Shamet made a clutch three-pointer with just seconds remaining Monday before Montrezl Harrell sealed the victory with a pair of free-throws. Shamet has been outstanding for the Clippers since being acquired mid-season, embodying the never say die attitude that eventually garnered them a victory here. His statistical production is not always spectacular and that was the case again here. That being said, he did have the best +/- of all the Clippers players, ending with a +15. News: Beverley ended with 10 points (3-8 FG, 2-5 3Pt, 2-2 FT), five assists, two rebounds, and one steal in 32 minutes during Monday's 135-131 victory over Golden State. Impact: Beverley fouled out midway through the final quarter, but not after playing a key role in what was the largest comeback in NBA playoff history. The Clippers rallied from 31 points down in the third quarter, thanks in part to Beverley's continuing defensive pressure. His efforts were rewarded with Kevin Durant also fouling out, allowing the Clippers to complete the amazing victory. Beverley's role is clear moving forward and although his production will be up and down, he is certainly going to be on the minds of a number of Warriors players. News: Harrell tallied 25 points (9-9 FG, 7-9 FT), 10 rebounds, and two assists in 33 minutes during Monday's 135-131 victory over the Warriors. Impact: Harrell was fantastic Monday, hitting all nine of his field-goal attempts, ending with 25 points and 10 rebounds. His efforts from the floor were certainly impressive, however, it was his free-throw shooting down the stretch that stands out. He stepped up and made a pair of clutch free throws with 4 minutes remaining, and then again in the dying seconds. Harrell has had a breakout season and demonstrated his tenacity in this one. With DeMarcus Cousins (quad) likely gone for the rest of the series at least, Harrell could be a significant factor if the Clippers are to push the Warriors. News: Williams finished with 36 points (13-22 FG, 2-4 3Pt, 8-10 FT), 11 assists, two rebounds, two steals, and one block in 33 minutes during Monday's 135-131 victory over the Warriors. Impact: Williams was red-hot down the stretch, leading the Clippers to an improbable victory over the Warriors in Game 2 of their playoff series. The Clippers recorded their largest ever come-from-behind victory after having trailed by 31 points midway through the third quarter. Williams is known as one of the best closers in the league and that was certainly evident here. The series will now head to the Staples Center for Game 3 on Thursday. Despite heading home with all the momentum, the Clippers will need to be wary of a Warriors team that typically responds very well after performances such as this. News: Gallinari registered 15 points (4-14 FG, 3-6 3Pt, 4-4 FT), eight rebounds, three steals, and one assist in 30 minutes during Saturday's 121-104 Game 1 loss to the Warriors. Impact: Gallinari was held in check offensively, but he salvaged his stat line by providing solid returns in the rebounding and steal departments. Still, the team's go-to option in the starting lineup will need to find a way to score a lot more efficiently than this if the Clippers are going to threaten the Warriors here in round one. News: Gilgeous-Alexander accumulated 18 points (6-16 FG, 3-6 3Pt, 3-4 FT), five rebounds, three blocks, and one assist in 34 minutes during Saturday's 121-104 Game 1 loss to the Warriors. Impact: Gilgeous-Alexander produced a quality stat line despite his inefficient shooting performance. Moreover, he logged a team high minute total, so it's clear coach Doc Rivers trusts the rookie. Gilgeous-Alexander has his hands full dealing with Golden State's backcourt, but he's certainly not backing down. News: Harrell had 26 points (11-15 FG, 4-8 FT), five rebounds, two assists, two steals, and two blocks in 30 minutes during Saturday's 121-104 Game 1 loss to the Warriors. Impact: Harrell was stellar, delivering an extremely efficient scoring performance while filling up the box score. It's hard to imagine Harrell besting this effort going forward, but his non-stop motor combined with the incredibly difficult matchup provide every reason for him to try to do just that in Monday's Game 2. News: Williams went for 25 points (11-21 FG, 1-2 3Pt, 2-2 FT), nine assists, three rebounds, and one steal in 32 minutes during Saturday's 121-104 Game 1 loss to the Warriors. Impact: Williams was superb, falling one assist shy of a double-double while pouring in plenty of points. Despite remaining in a reserve role, Williams is still the team's top option offensively, and he'll need to continue producing at a high level if the Clippers are going to have any chance of making this a competitive series. News: Beverley compiled 14 points (5-9 FG, 4-7 3Pt), six rebounds, six assists, and one steal in 21 minutes during Wednesday's 143-137 victory over Utah. Impact: Beverley was back in the lineup Wednesday after missing the three previous games with a hip injury. The fact he was out there puts him in a good spot leading into their round one clash with the Warriors. Beverley has had a strong finish to the season despite falling off ever so slightly over the last couple of weeks. If the Clippers are to have any chance against the Warriors, Beverley is going to have to be at his tenacious best. News: Gallinari finished with 13 points (5-11 FG, 0-1 3Pt, 3-4 FT), five assists, four rebounds, and one steal in 25 minutes during Wednesday's 143-137 victory over the Jazz. Impact: Gallinari returned after missing just one game with an ankle concern but managed just 13 points in 25 minutes. His low playing time was likely by design and the fact he was out there for the regular-season finale certainly bodes well for him heading into the playoffs. The Clippers must now face the Warriors in the first round of the playoffs and Gallinari is going to have to be at his absolute best if the Clippers are to even challenge. News: Gallinari (ankle) is listed as available for Wednesday's game against the Jazz, Tomer Azarly of ClutchPoints.com reports. Impact: Gallinari has been upgraded from probable for the season finale Wednesday. In 67 games this year, the Italian forward's averaging a career-best 19.9 points, 6.2 rebounds, 2.6 assists and 2.4 threes in 30.4 minutes per game. News: Williams is probable for Wednesday's game against the Jazz, Jovan Buha of The Athletic reports. Impact: The veteran is expected to play during the Clippers' regular-season finale, but the team is still offering some wiggle room in his designation. More information may arrive following LA's morning shootaround. News: Gallinari (ankle) is officially listed as probable for Wednesday's game against the Jazz, Jovan Buha of The Athletic reports. Impact: There's been some back-and-forth regarding Gallinari's status, but the veteran is likely to take the court during the regular-season finale. More information may be available following morning shootaround. News: McGruder was claimed off waivers by the Clippers on Tuesday, Adrian Wojnarowski of ESPN reports. Impact: McGruder was let go by the Heat on Sunday, although it didn't take long for him to find a new home. Even though he's not eligible for the playoffs, McGruder could have a chance to play in Wednesday's final regular-season game against the Jazz. News: Green (personal) should play Wednesday against Utah, Tomer Azarly of ClutchPoints.com reports. Impact: Green has missed the past two matchups due to a personal matter, but he's expected to be back for the regular-season finale. If the Clippers are to avoid facing the defending champs (Golden State) in the first round, they'll have to secure a victory Wednesday evening. News: Updating a previous report, Beverley (hip) will be available for the Clippers' regular season finale against the Jazz, Jovan Buha of The Athletic reports. Impact: Beverley missed the previous three games with a hip injury, but the Clippers will treat Wednesday's game as a playoff tuneup, so both Beverley and Danilo Gallinari (ankle) will be available. As such, the Clippers will likely re-shuffle the starting lineup, which could mean Lou Williams moving back to the bench after making a spot start Sunday against Golden State. News: Correcting a previous update, Gallinari (ankle) will play Wednesday against Utah, Andrew Greif of the Los Angeles Times reports. Impact: Gallinari will make his return to the court after missing one contest due to an ankle injury. The Clippers currently sit with the same record as the Spurs, so they'll need to come away with a victory Wednesday night to have a chance to jump up to the No. 7 spot in the Western Conference. News: Gallinari (ankle) is out for Wednesday's game against the Jazz, Andrew Greif of the Los Angeles Times reports. Impact: Gallinari is in line to miss his second straight contest with an ankle issue. With Wednesday being the final game of the regular season, he'll aim to be ready to play for the first game of the postseason. News: Beverley (hip) has been ruled out for Wednesday's game against the Jazz, Andrew Greif of the Los Angeles Times reports. Impact: Beverley is set to miss his fourth straight contest due to a hip injury. With Wednesday serving as the final matchup of the regular season, his next chance to return will come in the first game of the playoffs. News: Williams amassed 13 points (4-12 FG, 1-2 3Pt, 4-4 FT), five rebounds, five assists, three steals, and two blocks in 27 minutes during Sunday's 131-104 loss to Golden State. Impact: Williams shifted into the starting lineup Sunday with both Danilo Gallinari (ankle) and Pat Beverley (hip) on the sidelines. Williams is almost a certainty to receive the sixth-man of the year again thanks to another stellar season. The Clippers are going to want to try and avoid the Warriors in the first round of the playoffs and will need to win their final game against the Jazz while also needing other results to go their way. Nonetheless, it has certainly been a positive season for the Clippers who despite trading away a number of key players, have been one of the more impressive teams over the backend of the season. News: Harrell ended with 11 points (5-11 FG, 1-4 FT), three rebounds, three assists, one steal, and one block in 31 minutes during Sunday's 131-104 loss to the Warriors. Impact: Harrell moved into the starting lineup for Sunday's clash with the Warriors but failed to come through with any specific value. This was likely a matchup-based move but the Warriors are typically a tough night for any opposing center. Harrell has been fantastic this season and is going to have to be at his best if the Clippers are to make any noise in the playoffs. News: Shamet totaled 17 points (5-8 FG, 5-6 3Pt, 2-4 FT), four assists, three rebounds, and one block in 31 minutes during Sunday's 131-104 loss to Golden State. Impact: Shamet scored a team-high 17 points Sunday, including five triples. The Clippers were thrashed in this one and so any production was a bonus. Shamet has been an elite three-point streaming option since joining the Clippers and should feature heavily in their one remaining game as they hope to avoid the Warriors in the first round of the playoffs. News: Chandler is starting Sunday against Golden State. Impact: With both Danilo Gallinari (ankle) and JaMychal Green (personal) on the shelf, Chandler will receive an opportunity to enter the starting lineup. He'll be asked to provide the Clippers with key minutes amidst a heated battle for the postseason. News: Williams will start Sunday's game against the Warriors. Impact: Williams will draw the start in place of Patrick Beverley (hip) at shooting guard. Williams, who is nearly always a candidate to win Sixth Man of the Year, is averaging 17.4 points, 6.0 assists and 2.4 boards over his previous five contests. News: Harrell is starting Sunday's game against Golden State. Impact: Harrell will slot into the starting lineup for Ivaca Zubac. Harrell's last start dates back to Feb. 7 against Indiana, although he found success in 29 minutes of action that night (19 points). News: Beverley (hip) has been ruled out for Sunday's game against the Warriors, Tomer Azarly of ClutchPoints.com reports. Impact: This will be Beverley's third straight absence due to a hip injury, and the Clippers don't seem too eager to bring him back before the start of the postseason. Garrett Temple is expected to get his third straight start in Beverley's absence Sunday. News: Green (personal) will remain out Sunday against Golden State, Tomer Azarly of ClutchPoints.com reports. Impact: Green is away from the team and remains with his family following the birth of his child. His next chance to return will be Wednesday against Utah in the final regular contest of the regular season. News: Gallinari (ankle) will not play in Sunday's game at Golden State, Tomer Azarly of ClutchPoints.com reports. Impact: As expected, Gallinari, who was listed as doubtful heading into Sunday's matchup, won't suit up against the Warriors due to a hampering ankle injury. JaMychal Green and Wilson Chandler are prime candidates to see increased roles during Sunday's contest. Gallinari should have a good chance at returning to the court though in the Clippers' final regular season game Wednesday against Utah. News: Green (personal) should be considered questionable for Sunday's matchup against the Warriors, Andrew Greif of the Los Angeles Times reports. Impact: Green missed Friday's game due to the birth of his son, and it's possible he'll be out again Sunday. With Danilo Gallinari (ankle) out, Green could see an expanded role provided he's with the team and available. News: Gallinari is doubtful for Sunday's game against the Warriors due to an ankle injury, Andrew Greif of the Los Angeles Times reports. Impact: Chances are, Gallinari will miss the Clippers' second-to-last regular-season game. Assuming he's out JaMychal Green (personal) and Wilson Chandler are strong candidates to see extra run. News: Beverley (hip) is considered doubtful for Sunday's game against Golden State, Tomer Azarly of ClutchPoints.com reports..
Impact: There's a good chance Beverley misses a third-straight contest with a right hip injury. If he's unable to go, Landry Shamet and Garrett Temple figure to see a boost in minutes. News: Harrell totaled 14 points (4-9 FG, 6-8 FT), eight rebounds, four assists and a block over 29 minutes in the Clippers' loss to the Lakers on Friday. Impact: Harrell continued his solid play off the bench with a strong performance in Friday's loss. Harrell has been a reliable contributor for the Clippers this season, and he's averaged career highs in points (16.6), rebounds (6.6), assists (1.9), blocks (1.4) and minutes (26.3). News: Williams produced 18 points (4-12 FG, 3-5 3Pt, 7-7 FT), eight assists and four rebounds over 34 minutes in the Clippers' loss to the Lakers on Friday. Impact: Williams had a strong showing off the bench as usual, scoring 18 and handing out eight dimes. He's led the Clippers' bench in an impressive season for the team, and Williams is enjoying the best two-year stretch of play in his career. In two seasons with the Clippers, he's averaged over 20 points and five assists both seasons -- the only two times he's done that in 14 seasons. News: Gilgeous-Alexander totaled 20 points (10-19 FG, 0-4 3Pt), eight rebounds, six assists, one block and one steal over 37 minutes in the Clippers' loss to the Lakers on Friday. Impact: Gilgeous-Alexander had a solid all-around stat line in Friday's loss, producing healthy totals across the board. He's been on an offensive hot streak recently, hitting 20 points for the fourth time in his last five games. 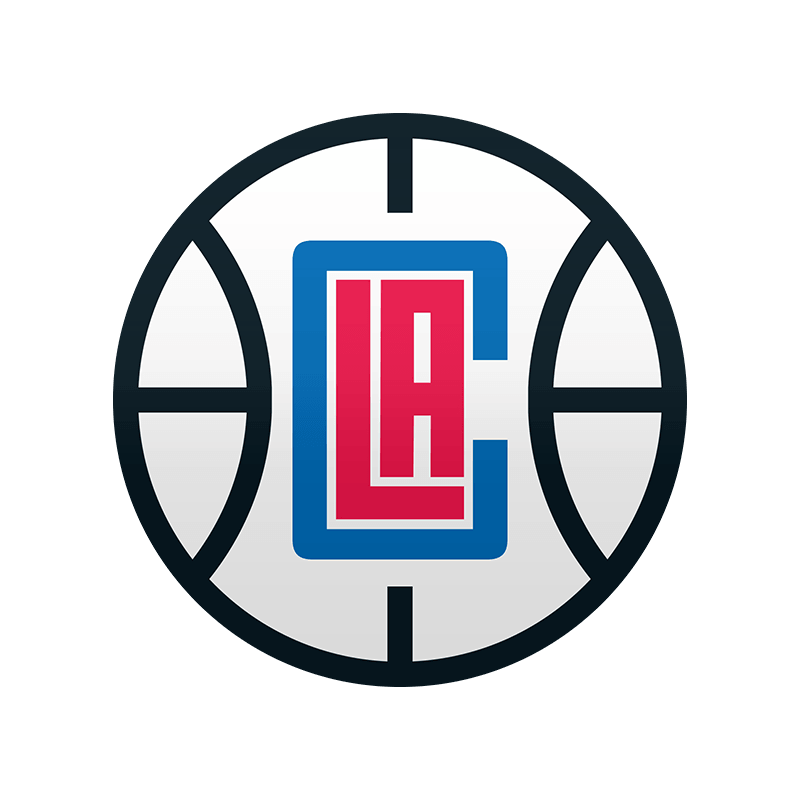 News: Gallinari produced 27 points (8-18 FG, 3-6 3Pt, 8-9 FT), eight assists, six rebounds, three steals and two blocks over 33 minutes in the Clippers' loss to the Lakers on Friday. Impact: Gallinari stuffed the stat sheet with a monster line in Friday's loss. He's having a career rebirth in his second season with the Clippers, averaging career highs in points (19.9), rebounds (6.2) and field goal percentage (46.3). His 43.4 percent shooting from three is his highest mark since his rookie season in 2008. News: Green is unavailable for Friday's game against the Lakers due to a personal matter, Andrew Greif of the Los Angeles Times reports. Impact: Green is currently in Memphis to be with his wife for the birth of his son. He could return as early as Sunday at Golden State. News: Beverley (hip) won't play Friday against the Lakers, Tomer Azarly of ClutchPoints.com reports. Impact: Beverley has been ruled out yet again due to a hip injury, as he's set to miss his second consecutive matchup. Landry Shamet drew the start for Beverley in the Clippers' previous matchup and figures to do so again Friday evening. News: Beverley (hip) will be a game-time call for Friday's game against the Lakers, Tomer Azarly of ClutchPoints.com reports. Impact: Beverley didn't take the court for Wednesday's matchup due to a hip injury, and his status remains up in the air for the Clippers' upcoming contest. The team should have a better idea of his status for Friday following morning shootaround. News: Harrell produced 13 points (6-10 FG, 1-2 FT), six rebounds, four assists, two steals and a blocked shot across 23 minutes in Wednesday's 135-103 loss to the Rockets. Impact: While Harrell has been a mainstay in the Clippers' second unit for most of the season, he's averaging a fairly steady 26.3 minutes per game and has contributed an average of 16.6 points and 6.6 rebounds over 79 games. He's also enjoyed a 12-game streak of double-digit scoring totals and recorded three double-doubles during that span. News: Williams posted 14 points (3-9 FG, 1-3 3Pt, 7-11 FT) and seven assists across 23 minutes in Wednesday's 135-103 loss to the Rockets. Impact: Williams was mostly a non-factor on Wednesday, as the league's best sixth man's production became unnecessary as the game got out of hand. You can expect Williams to be pivotal as they enter the playoffs, as the team expects to squeeze every penny of value from the 3-year, $24 million contract he signed to begin the season. News: Gallinari totaled 16 points (6-12 FG, 1-3 3Pt, 3-3 FT), four rebounds and an assist across 24 minutes in Wednesday's 135-103 loss to the Rockets. Impact: While many expected Gallinari to show up huge in this matchup, he couldn't get anything going and was eventually sent to the bench when things got out of hand in the second half. Tonight should be an outlier stat line for the forward, as he's effectively become the linchpin of the Clippers' offense and his performance will be crucial to the team's success in the playoffs. News: Gilgeous-Alexander produced 8-16 FG, 1-3 3Pt, 3-5 FT), four rebounds, four rebounds and two steals across 33 minutes in Wednesday's 135-103 loss to the Rockets. Impact: While SGA hasn't produced many eye-popping totals, his production has steadily trended up throughout the season. He's posted double-digit scoring totals in 15 of his last 17 games, and while he doesn't post as many assists as a typical point guard might on a regular basis, the 19-year-old will continue to develop that aspect of his game as the Clippers' floor general of the future. News: Temple will start Wednesday's game against the Rockets, Tomer Azarly of ClutchPoints.com reports. Impact: Temple will start in place of Patrick Beverley, who's out with a hip injury. In 22 games, including four starts, with the Clippers, the veteran guard's averaged 4.2 points, 2.5 rebounds and 1.5 assists in 19.4 minutes. News: Beverley (hip) won't play in Wednesday's game against the Rockets, Jovan Buha of The Athletic reports. Impact: Despite playing 48 minutes over his last two games, Beverley will be held out Wednesday due to an nagging right hip injury. Look for Lou Williams and Tyrone Wallace to see increases in run in Beverley's absence. News: Beverley is listed as questionable for Wednesday's game against the Rockets due to a right hip pointer, Tomer Azarly of ClutchPoints.com reports. Impact: Beverley has been dealing with an injured right hip for the past week or so but was recently cleared to play last Saturday and managed 23 and 25 minutes of action over the weekend in back-to-back games. Beverley's name on the injury report is most likely just a precaution though. The former second-round pick is currently averaging 7.6 points and 5.0 rebounds over 77 games played this season. News: Green compiled 15 points (5-8 FG, 3-5 3Pt, 2-2 FT), five rebounds and one assist across 22 minutes in the Clippers' 113-96 win over the Grizzlies on Sunday. Impact: Green served as a solid complementary source of offense off the bench, especially in the fourth quarter. The fourth-year pro finished March on a strong note, posting three straight double-digit scoring efforts, including one double-double. The extra production coincided with a bump in minutes into the low 20s, and it remains to be seen if coach Doc Rivers continues to afford the 28-year-old the extra run in the handful of games that remain. News: Williams registered 17 points (6-12 FG, 1-2 3Pt, 4-4 FT), three rebounds, two assists and one steal across 23 minutes in the Clippers' 113-96 win over the Grizzlies on Sunday. Impact: Williams put together another signature performance in his second-unit role, and he wrapped up March with three straight games of at least 50.0 percent shooting. The veteran was as consistent as ever during the month, averaging 21.7 points on 46.3 percent shooting across 27.1 minutes per contest. Williams continues to enjoy robust usage (16.2 shot attempts per March contest), a trend that should persist for what remains of the regular season. News: Harrell delivered 20 points (5-9 FG, 0-1 3Pt, 10-11 FT), one rebound, one assist and one block across 21 minutes in the Clippers' 113-96 win over the Grizzlies on Sunday. Impact: It was an unusual line for Harrell outside of the scoring category, as the big man is usually highly active on the boards in particular. Harrell had pulled down fewer than five rebounds only once in the previous 16 games, substantiating how rare the meager total is for him. Nevertheless, he was highly efficient on the offensive end, and his scoring tally qualified as his eighth of 20 points or more in the last 11 games. News: Gallinari (ankle) furnished 27 points (6-11 FG, 1-4 3Pt, 14-16 FT), 15 rebounds and five assists across 31 minutes in the Clippers' 113-96 win over the Grizzlies on Sunday. Impact: Gallinari shook off the ankle soreness that had sidelined him for Saturday's win over the Cavaliers and led all players in both scoring and rebounding on the night. The veteran wing has stepped up his game significantly since the All-Star break, averaging 23.0 points, 6.8 rebounds and 2.6 assists on 49.4 percent shooting in the 17 games over that span. Gallinari also averaged a robust 14.5 shot attempts per game during March, his highest figure in a full month this season. With Los Angeles marching toward the postseason, the 30-year-old should see abundant usage in any game he suits up for down the stretch. News: Gallinari (ankle) has been cleared to play Sunday against Memphis, Tomer Azarly of ClutchPoints.com reports. Impact: As expected, Gallinari will be available for Sunday's matchup and should rejoin the starting lineup after missing Saturday's contest with ankle soreness. He's averaging 23.3 points, 6.2 rebounds and 3.0 assists over his previous five games. News: Gallinari (ankle) is listed as probable for Sunday's game against the Grizzlies, Tomer Azarly of ClutchPoints.com reports. Impact: Gallinari was forced to miss Saturday's game with ankle soreness, however it seems as though he will play Sunday. More information on his status should come out closer to tip-off. News: Green scored 18 points (8-9 FG, 2-2 3Pt) while adding 10 rebounds, a steal and a block in 23 minutes during Saturday's 132-108 win over the Cavaliers. Impact: With Kevin Love (shoulder) out and Tristan Thompson not yet ready for a full workload, Green didn't face a lot of resistance from the Cavs' frontcourt en route to his sixth double-double of the season. The 28-year-old will be back on the bench once Danilo Gallinari (ankle) is cleared to return. News: Gilgeous-Alexander scored 22 points (9-12 FG, 3-3 3Pt, 1-2 FT) while adding eight assists, two rebounds and a steal in 28 minutes during Saturday's 132-108 win over the Cavaliers. Impact: He came away the victor in a battle of rookie point guards with Collin Sexton, and SGA continues to build momentum with the playoffs looming. The 20-year-old has scored in double digits in 14 of the last 15 games, topping 20 points in each of the last two, and Gilgeous-Alexander is averaging 14.6 points, 4.3 assists, 3.1 boards, 1.3 three-pointers and 1.2 steals over that stretch. News: Harrell scored a team-high 23 points (10-13 FG, 1-1 3Pt. 2-3 FT) while adding six rebounds, two assists and a steal in 28 minutes off the bench during Saturday's 132-108 win over the Cavaliers. Impact: It's the seventh time in the last 10 games Harrell has dropped 20 or more points, and the 25-year-old big is averaging an even 20.0 points, 6.9 boards, 2.1 assists and 1.5 blocks over that stretch. Thanks in part to a strong second unit carried by Harrell and Lou Williams, the Clippers will spend their last five games of the season trying to catch the Jazz for the fifth seed in the Western Conference. News: Beverly will get the start Saturday against the Cavaliers. Impact: After a one game absence due to a minor hip injury, Beverly will return to his usual starting role. Across 75 games this year, the 7th-year guard's averaging 7.7 points, 5.0 rebounds and 3.8 assists in 27.6 minutes. News: Temple will come off the bench Saturday against the Cavaliers. Impact: With Patrick Beverley (hip) healthy and in the starting five, Temple will resume his usual role off the bench. As a reserve in March, he's averaging 2.8 points, 2.4 rebounds, 1.3 assists and 1.0 steal in 16.7 minutes. News: Beverley (hip) will play Saturday against the Cavaliers, Jovan Buha of The Athletic reports. Impact: Beverley missed Thursday's loss to the Bucks due to a right hip pointer, but he'll make his return Saturday. This month, he's averaging 9.0 points, 5.5 rebounds, 4.8 assists and 1.2 steals in 29.6 minutes. News: Green will start Saturday's game against the Cavaliers, Tomer Azarly of ClutchPoints.com reports. Impact: With Danilo Gallinari (ankle) out, Green will make the start. In five prior starts this season, he's averaging 7.4 points, 6.2 rebounds, 1.0 assist and 1.0 steal in 21.0 minutes. News: Gallinari (ankle) is out Saturday against the Cavaliers, Tomer Azarly of ClutchPoints.com reports. Impact: Gallinari will miss his 12th game of the year Saturday. In his place, JaMychal Green will draw the start. News: Gallinari is questionable for Saturday's game against the Cavaliers due to a sore ankle, Tomer Azarly of ClutchPoints.com reports. Impact: Gallinari presumably picked up the injury during Thursday's loss to the Bucks. JaMychal Green would be in line for a bigger role should he ultimately sit. More information on his status should come closer to tip-off. News: Williams (rest) is not listed on the Clippers' injury report ahead of Saturday's game against the Cavaliers, Tomer Azarly of ClutchPoints.com reports. Impact: Williams sat out Thursday's loss to the Bucks for rest purposes, so his absence from the injury report is unsurprising. Barring any new information, he will presumably resume his usual role with the team. News: Beverley (hip) is probable for Saturday's matchup against the Cavaliers, Tomer Azarly of ClutchPoints.com reports. Impact: Beverley is expected to return following a one-game absence due to a right hip pointer. His status may be updated following Saturday's morning shootaround. News: Motley managed one rebound and one assist in one minute during Thursday's 128-118 loss to the Bucks. Impact: Motley has earned six minutes across three appearances here in March. The 23-year-old sophomore has seen double-digit minutes four times through 19 appearances this season, and he'll only be worthy of consideration if the Clippers opt to rest the regulars. News: Robinson recorded nine points (3-5 FG, 2-4 3Pt, 1-1 FT), two rebounds, one assist, one steal, and one block in 22 minutes during Thursday's 128-118 loss to the Bucks. Impact: Robinson finished with a career high scoring total while contributing in every statistical category. The absences of Lou Williams (rest) and Patrick Beverley (hip) cleared the way for Robinson to earn ample minutes, but the rookie isn't normally part of the rotation. With the Clippers already locking up a spot in the playoffs, it shouldn't be that surprising if Robinson receives decent playing time in some of the last six regular season games. Nevertheless, those considering him in daily leagues in advance of Saturday's matchup with the lowly Cavaliers will likely want to check the injury report before committing. News: Chandler chipped in 15 points (5-7 FG, 5-6 3Pt), two rebounds, and one assist in 17 minutes during Thursday's 128-118 loss to the Bucks. Impact: Chandler matched his season high in scoring while amassing a season high in made threes. This is the first time since Jan. 17 that Chandler has reached double figures in scoring, and he hasn't yet seen 20 minutes through his first nine appearances with the Clippers. As a result, he's not that appealing for most formats. News: Green had 16 points (6-16 FG, 4-8 3Pt), eight rebounds, and two assists in 24 minutes during Thursday's 128-118 loss to the Bucks. Impact: Green snapped a 10-game streak of single-digit scoring efforts while dishing more than one assist for the first time since Jan. 23. Given the team's frontcourt depth and his modest minute totals, Green is best reserved for use in deeper leagues. However, Saturday's matchup against a weak defensive club (Cavaliers) could be considered a friendly enough matchup to make Green a sneaky cheap option in daily formats. News: Gilgeous-Alexander registered 21 points (8-15 FG, 1-2 3Pt, 4-5 FT), six rebounds, two assists, two blocks, and one steal in 32 minutes during Thursday's 128-118 loss to the Bucks. Impact: Gilgeous-Alexander has reached double figures in scoring in nine consecutive contests (and in 13 of the last 14). While the game was a bit more lopsided than the final scoreline suggests, the rookie delivered a fine performance, contributing in every category. Saturday's matchup versus the lowly Cavaliers provides him with a chance to go up against fellow first-year point guard Collin Sexton, and Cleveland's poor defense represents a solid opportunity to post another strong stat line. News: Williams will be rested for Thursday's game against the Bucks, Brad Turner of the LA Times reports. Impact: The good news is there's no injury here, as it looks like the Clippers are simply holding Williams out for load management purposes with a playoff berth sealed up. Expect the veteran to return for at least one of the team's two games this weekend. The Clippers play host to Cleveland on Saturday and Memphis on Sunday. News: Mbah a Moute underwent a partial medial meniscectomy on his left knee Wednesday and will be sidelined for eight weeks, Andrew Greif of the Los Angeles Times reports. Impact: Mbah a Moute played the first four games of the season before suffering the injury. He underwent various non-surgical treatment options and was essentially day-to-day for the whole season. Ultimately, he's been forced to undergo surgery to address the issue and will be able to resume basketball activity around late May. News: Shamet will return for Thursday's game against the Bucks, Brad Turner of the LA Times reports. Impact: Shamet missed Tuesday's game after tweaking his ankle last weekend, but the issue was never considered serious, and he'll likely reclaim his spot in the starting lineup. The rookie out of Wichita State has been among the most pleasant surprises in the class, and he enters Thursday shooting 42 percent from three on 4.9 attempts per game this season. News: Beverley (hip) is out Thursday against the Bucks, Broderick Turner of the Los Angeles Times reports. Impact: A right hip pointer will prevent Beverley from taking the court, though the Clippers will have Landry Shamet (ankle) available. Beverley will look to get healthy in hopes of playing Saturday against the Cavaliers. News: Beverley (hip) is questionable for Thursday's contest against the Bucks, Broderick Turner of the Los Angeles Times reports. Impact: Beverley left Tuesday's win at Minnesota due to a right hip pointer, and it's still giving him some discomfort. Landry Shamet (ankle) is also questionable, so the Clippers could be shallow in the backcourt. If both players sit out Thursday's matchup, Tyrone Wallace, Garrett Temple and Jerome Robinson could see extra time. News: Shamet (ankle) is questionable for Thursday's game against the Bucks, Broderick Turner of the Los Angeles Times reports. Impact: Shamet has been dealing with an ankle injury since rolling it Sunday against the Knicks and missed Tuesday's contest as a result. Teammates Garrett Temple and Wilson Chandler are candidates again to see an increased role if Shamet is deemed inactive for Thursday. News: Harrell totaled 18 points (9-11 FG), five rebounds, four assists and two blocks across 27 minutes in the Clippers' win over the Timberwolves on Tuesday. Impact: Harrell put up solid numbers in Tuesday's win, compiling an all-around stat line off the bench. He and Lou Williams have led an extremely productive second unit in what has been a magical run to the playoffs for the Clippers this season. News: Temple totaled 15 points (5-9 FG, 5-8 3Pt), four rebounds, three assists and two steals across 32 minutes in the Clippers' win over the Timberwolves on Tuesday. Impact: Temple entered the starting lineup with Landry Shamet (ankle) out, and the former had a respectable all-around stat line in Tuesday's win. Temple hasn't played much of a role for the Clippers since coming over from Memphis, and the increased production should be attributed to the spot start and extra playing time. News: Williams finished with 20 points (8-15 FG, 1-3 3Pt, 3-3 FT), seven assists and four rebounds across 30 minutes in the Clippers' win over the Timberwolves on Tuesday. Impact: Williams played his usual allotment of minutes off the bench on Tuesday, hitting 20 points once again. He's played a pivotal role off the bench for the Clippers and should continue to see heavy usage down the stretch. News: Gallinari totaled 25 points (7-16 FG, 6-9 3Pt, 5-5 FT), 10 rebounds, four assists and a steal across 30 minutes in the Clippers' win over the Timberwolves on Tuesday. Impact: Gallinari kept his recent hot streak rolling in Tuesday's win, racking up his 10th straight 20-point game and notching a double-double in the process. He also made it rain, draining six threes and bringing his made three-pointers total to 31 over his last 10 games. Gallinari is on fire right now, and fantasy owners shouldn't hesitate to use him. News: Beverley (hip) is doubtful to return Tuesday against the Timberwolves, Kristina Pink of Fox Sports West reports. Impact: Beverley has been diagnosed with a bruised right hip. He'll likely land on the injury report ahead of Thursday's contest against Milwaukee. News: Beverley, holding his right hip, went to the locker room during Tuesday's game against the Timberwolves, Broderick Turner of the Los Angeles Times reports. Impact: It's unclear if Beverley will return. Either way, it's possible he lands on the injury report ahead of Thursday's matchup against the Bucks. News: Temple will start Tuesday's matchup against the Timberwolves, Kristina Pink of Fox Sports West reports. Impact: With Landry Shamet (ankle) out, Temple will draw the start. In March, he's averaging 2.8 points, 2.4 rebounds, 1.3 assists and 1.0 steal in 16.7 minutes. News: Shamet (ankle) is out Tuesday against the Timberwolves, Kristina Pink of Fox Sports West reports. Impact: An ankle injury will keep Shamet out Tuesday, prompting coach Doc Rivers to give Garrett Temple the start. Shamet's next opportunity to play arrives Thursday against the Bucks. News: Mbah a Moute (knee) has been ruled out of Tuesday's game against the Timberwolves. Impact: Mbah a Moute continues to be evaluated on a daily basis, although he's not yet ready to take the court. He'll be considered a game-time decision for Thursday's clash with Milwaukee. News: Shamet (ankle) is listed as questionable for Tuesday's game against Minnesota, Andrew Greif of the LA Times reports. Impact: Shamet was pulled from Sunday's game after he rolled his ankle, but the injury doesn't look to be anything that'll plague him in the long-term. Expect an update on the rookie sharpshooter's status after shootaround Tuesday morning. News: Gallinari totaled 26 points (5-16 FG, 3-10 3Pt, 13-14 FT), eight rebounds and an assist across 33 minutes in the Clippers' win over the Knicks on Sunday. Impact: Gallinari poured in 26 points in Sunday's win, hitting at least 20 points for his ninth-straight game. In that span, he's shot better than 50 percent from the floor while draining 25 threes. Gallinari has also contributed 6.1 rebounds per game over his last nine contests. As long as he's healthy, he's a pretty good bet for some big scoring nights and solid rebounding totals. News: Harrell totaled 24 points (8-12 FG, 0-1 3Pt, 8-9 FT), four rebounds, one assist and a block across 28 minutes in the Clippers' win over the Knicks on Sunday. Impact: Harrell produced another strong offensive output in Saturday's win, totaling 24 points on an efficient 66.7 percent shooting from the floor. Harrell has been a monster off the Ben h for an up-and-coming Clippers team, averaging 17.7 points, 7.9 boards and 1.4 blocks over his last 10 games. News: Williams produced 29 points (9-20 FG, 5-7 3Pt, 6-8 FT), seven assists, three rebounds and two steals across 32 minutes in the Clippers' win over the Knicks on Sunday. Impact: Williams burned the Knicks for 29 points, including five-of-seven shooting from beyond the arc. Williams continues to get buckets off the bench for a Clippers team that's surprisingly headed to the playoffs. He's averaging 22.6 points in the month of March. News: Shamet was diagnosed with an ankle impingement and could miss multiple games, Andrew Greif of the Los Angeles Times reports. Impact: Shamet left Sunday's game in the third quarter after appearing to slip on the floor, and he's now been diagnosed with a relatively minor injury, though it's one that coach Doc Rivers indicated could cause the rookie to miss "a few games." Heading into Sunday, Shamet averaged 12.8 points, 2.8 rebounds, 2.3 assists and 3.4 made threes over his previous 10 contests. News: Shamet departed Sunday's game against the Knicks with an apparent leg injury, Tomer Azarly of Clutch Points reports. Shamet will not return to the game, per Jovan Buha of The Athletic reports. Impact: The rookie slipped on the floor and looked to turn his left ankle midway through the third quarter. He initially stayed in the game but was taken to the locker room shortly after. Consider Shamet day-to-day as Tuesday's game against Minnesota approaches. News: The Clippers re-signed Bibbs to a second 10-day contract Saturday, Andrew Greif of the Los Angeles Times reports. Impact: Bibbs didn't see any game action with the Clippers during his first week and a half in the NBA, but he apparently made enough of an impression in practice and in the G League to garner another 10-day deal. Once his new contract expires in early April, the Clippers will either have to sign him for the remainder of the season or let him enter free agency.